The New World drew almost a quarter of a million emigrants to the Americas during the 16th century. Most were from Castile, Spain, and they came by way of the port of Seville. At the time, almost all of the Spanish ships that traded with the Americas came by way of Seville. Many who left for the New World did so because of the lack of opportunities in Spain. At first, the vast majority of emigrants were young single men because most women did not believe that the journey across the Atlantic Ocean was safe. During the 1570's more women began to make the crossing. At this time approximately 1/3rd of the population were women. Due to the perpetual lack of women, the men began to intermarry. They took wives and girlfriends that were Native American. The children of these people became known as mestizos. Consequently, by 1700 there were more mestizos living in Mexico than there were Indians. The Spanish authorities developed a complex racial hierarchy that was called the castas. People who had pure African or Indian blood were ranked at the bottom, above them were the mestizos who were ranked according to the amount of Spanish blood. At the top of the castas were the pure Spaniards. The castas at the top received privileges at the expense of the lower castas. In the Americas, it was the Spanish who constructed the largest amount of urban centers. By 1628, they had built 341 towns. The towns were carefully laid out in a gridiron pattern around a central plaza. The town hall, public buildings, and church were located on the plaza. The local power was in the hands of the caudildos(political leader)and the town councils. The wealthiest people, the ones with the highest castas rating lived on or near the plaza. The lower the castas rating the farther you lived from the plaza. Mexico and Peru were so wealthy in gold and silver that after 1525 the Spanish crown started ignoring its older Caribbean colonies. Before long, Cuba and Hispaniola diminished in importance as most of the new emigrants and new money now flowed through Mexico and Peru. 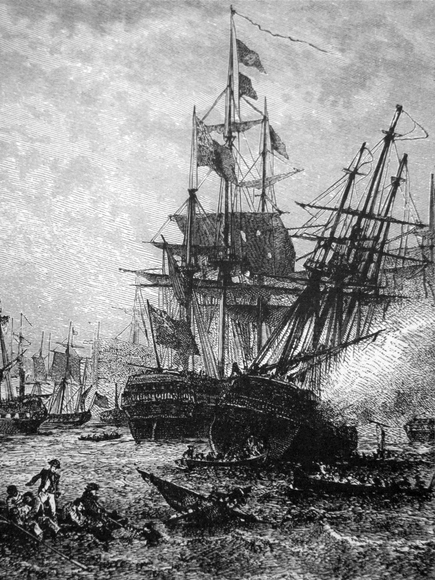 Between 1500 and 1650 the Spaniards shipped 16,000 tons of silver, and 181 tons of gold to Europe. In 1585, the gold and silver that was extracted out of mines in Mexico and Peru accounted for 25 percent of the the Spanish crowns total budget. There was so much silver and gold that inflation went crazy and the prices of everything went up. At the same time, the Spanish crown used much of the money it had accumulated to enter into foreign wars in North Africa, Italy, and the Netherlands. The wars drained the Spanish economy of money as fast as the gold and silver could be mined in the New World. The Spanish crown divided their American empire into two vicerroyalties. The vicerroyalty of New Spain consisted of Mexico, Central America, and the Caribbean Islands. The vicerroyalty of Peru consisted of Peru and all of South America except Portuguese Brazil. Each was governed by a viceroy who had been appointed by the king. So that the viceroy did not accumulate too much power the crown also appointed a council called the audencia. The audencia functioned as a court, legislature, and executive cabinet. They drafted laws, advised the viceroy, and held trials. However, the final word came from the crown or royal authority in Spain. Consequently, some decisions took up to a year for an answer because of the slow pace of transatlantic shipping.